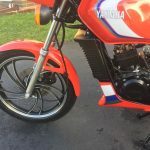 Restored 1983 Yamaha RD125LC Motorcycle. The engine was stripped and completely rebuilt. 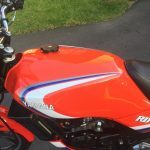 The paintwork was professionally refinished in the original colour. 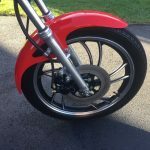 The wheels were stripped, painted and the rims were polished. New Yamaha decals were applied. 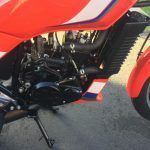 A really nice restored Yamaha RD125LC Motorcycle. 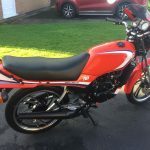 Yamaha RD125LC – 1985 For Sale or Wanted? 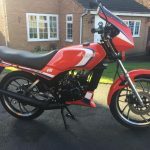 If you're looking for the perfect Yamaha RD125LC – 1985 for sale then take a look at the hundreds of restored classic motorcycles listed on our extensive Motorcycles For Sale pages. 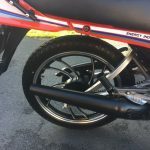 We regularly feature very nice restored Yamaha RD125LC – 1985 bikes for sale. 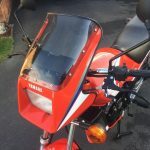 Spares and Parts for your Yamaha RD125LC – 1985? 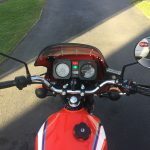 Workshop Manual for your Yamaha RD125LC – 1985?